Crystals and wood stud the seat "cushions" of this chair. Swarovski Crystals to be exact. Comfort level debatable...On display at ICFF. 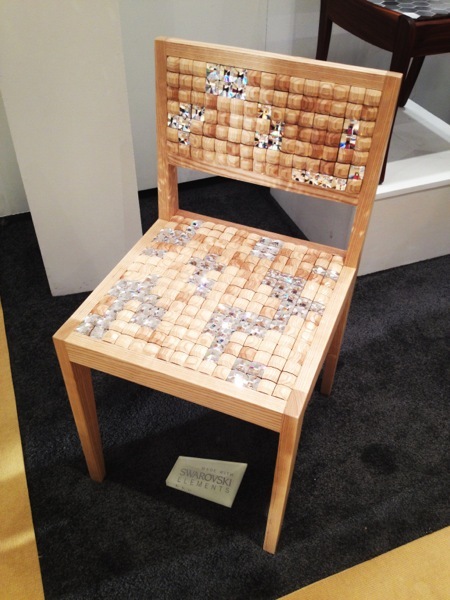 Posted on May 19, 2013 by Vivien Chin and filed under cool design stuff and tagged chair crystal chair furniture icff.